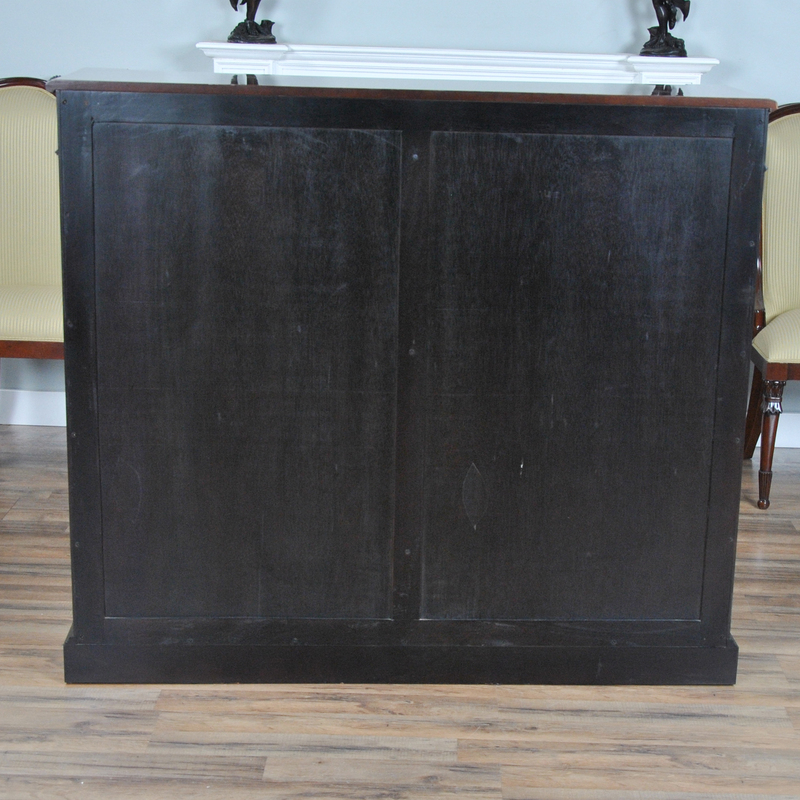 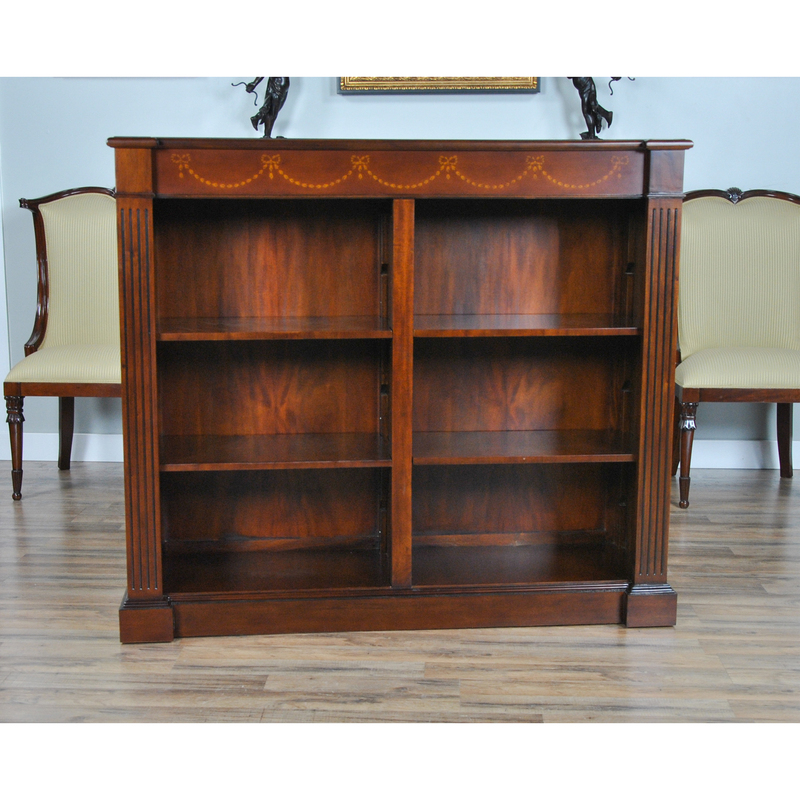 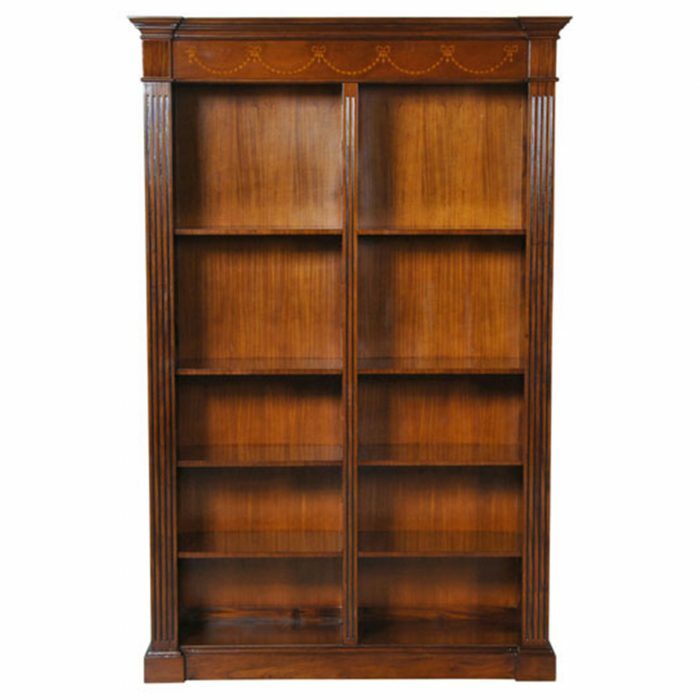 An excellent quality Mahogany Open Bookcase produced by Niagara Furniture. 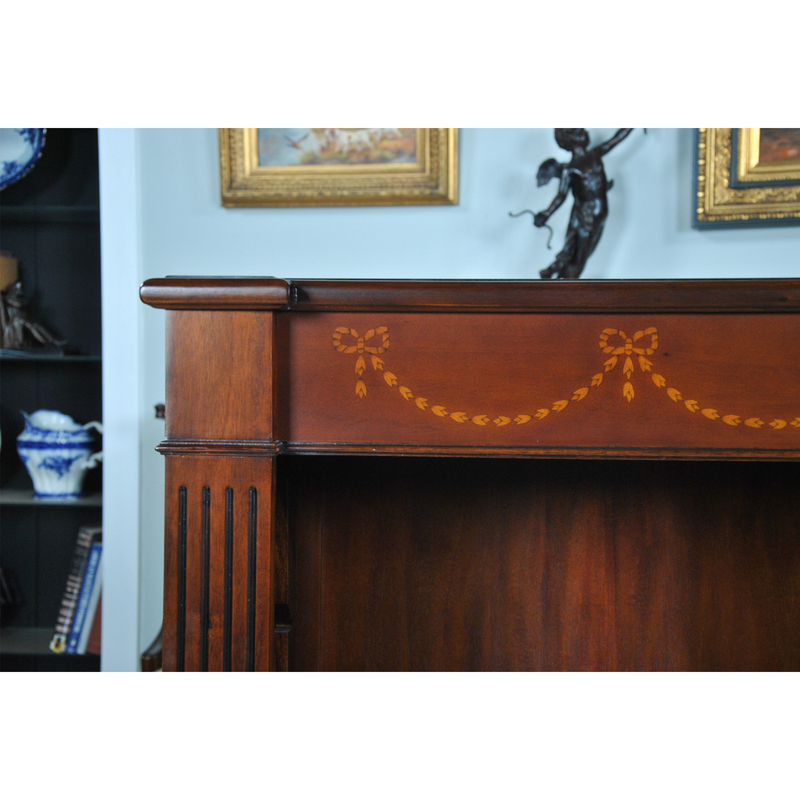 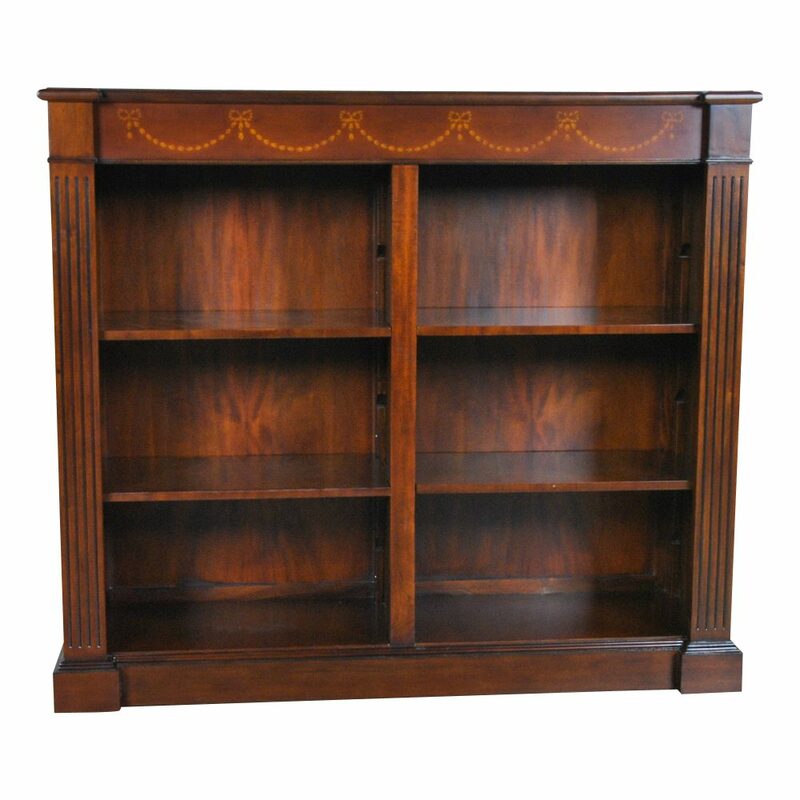 The top section features a moulded cornice with hand cut satinwood inlays arranged in a drape pattern. 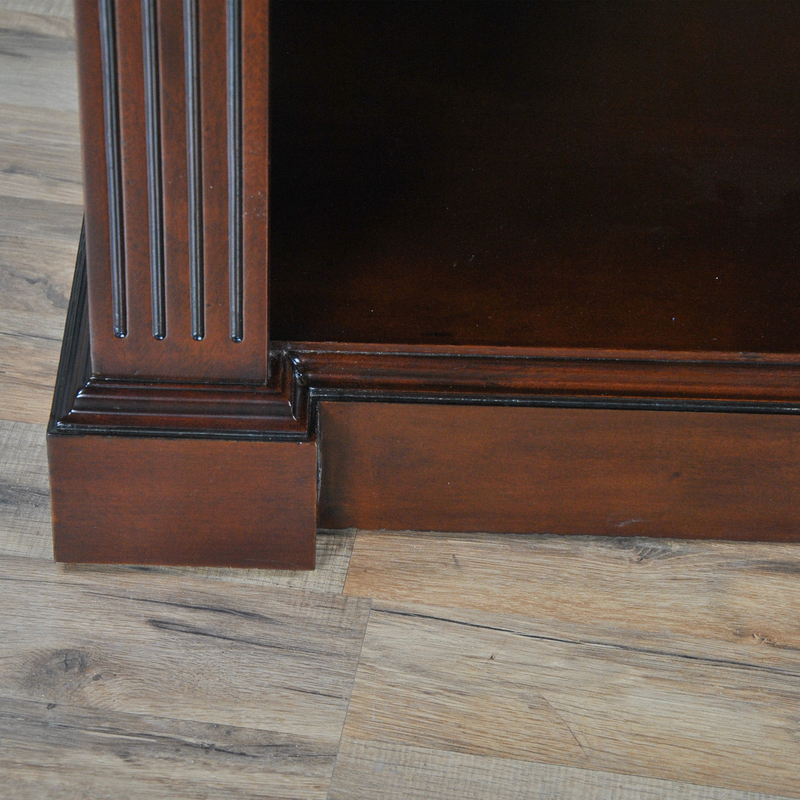 The open section being divided by a central reeded column for support and flanked by reeded pilasters on each side. 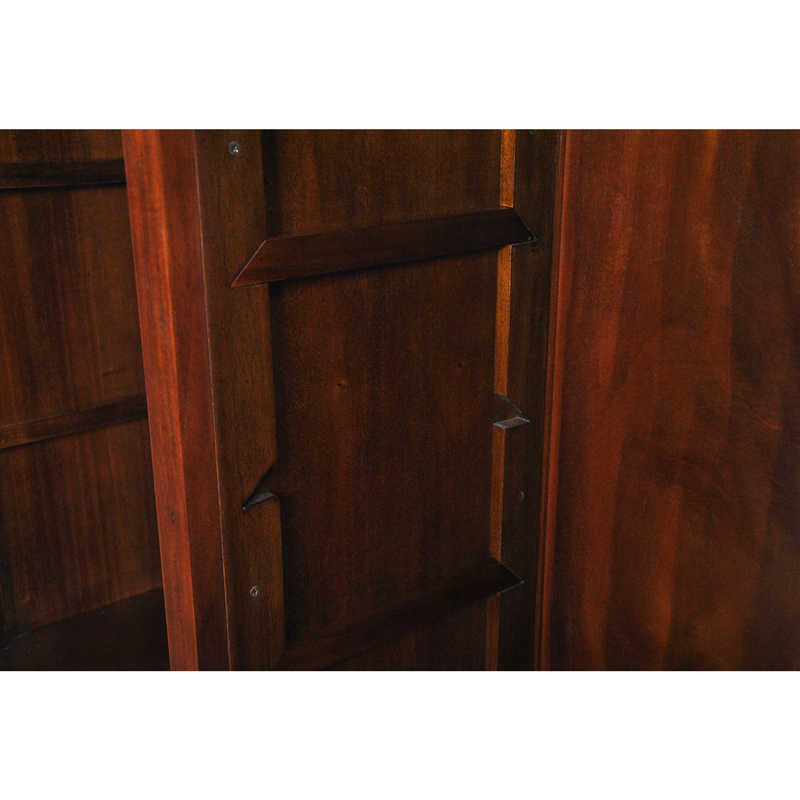 Each compartment features four adjustable shelves on wooden supports. 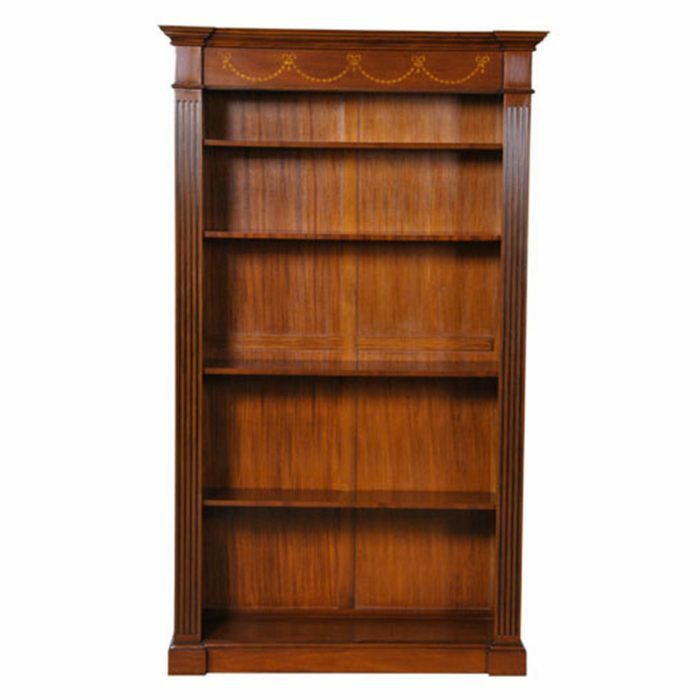 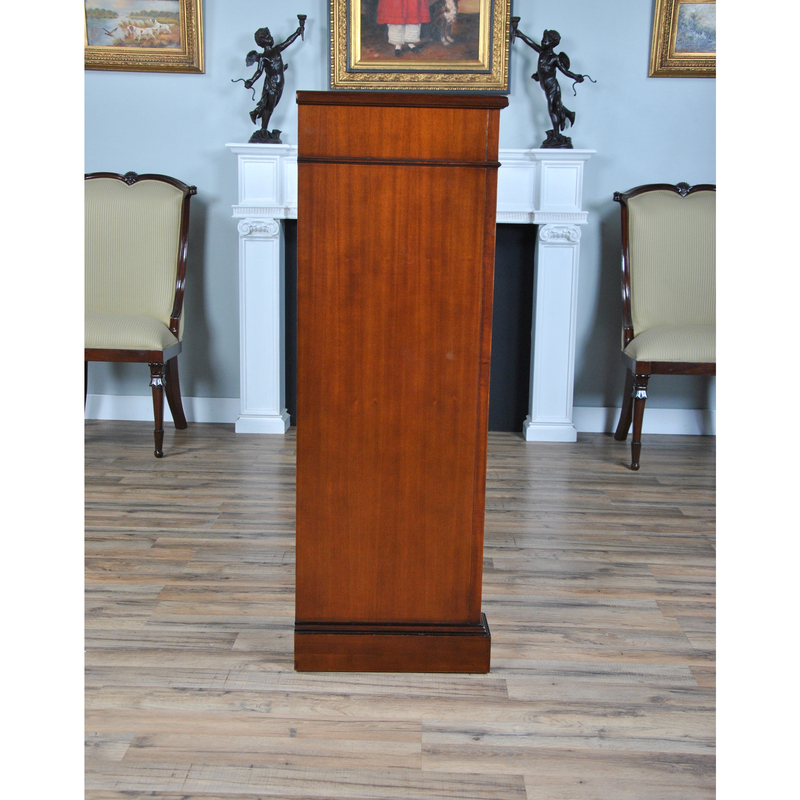 Supported by a shaped mahogany base. 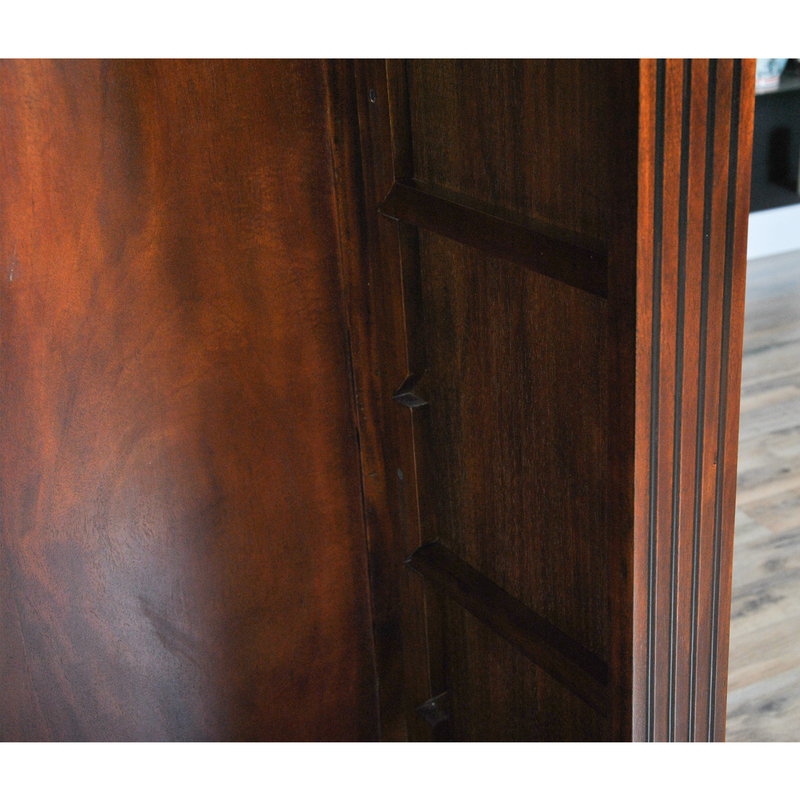 Dovetailed joinery and panel construction in the rear help keep the entire structure sturdy. 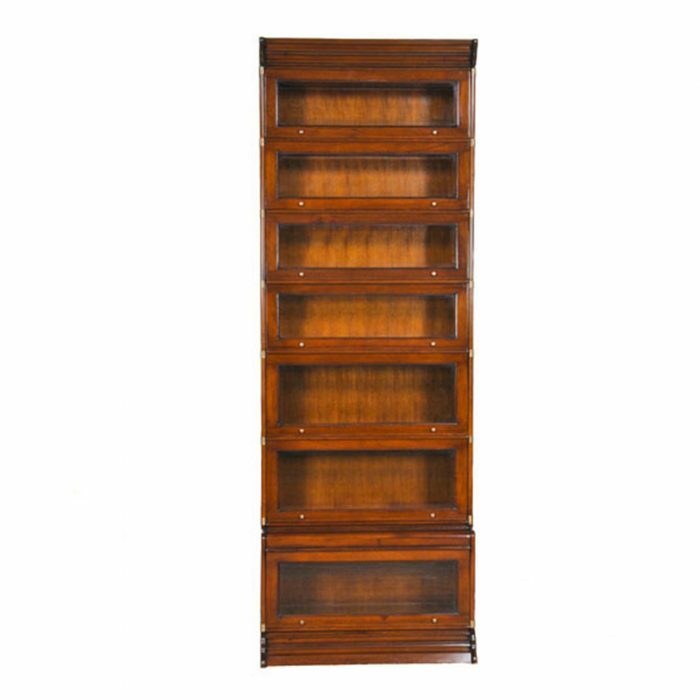 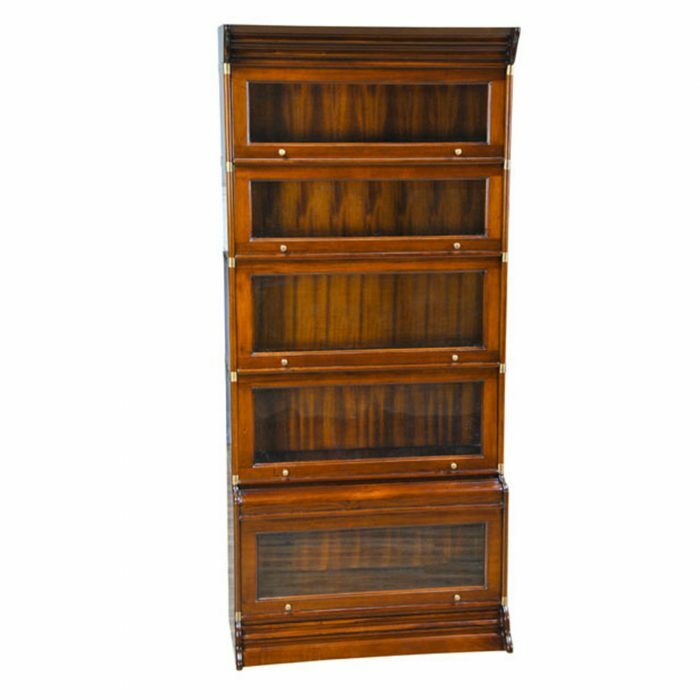 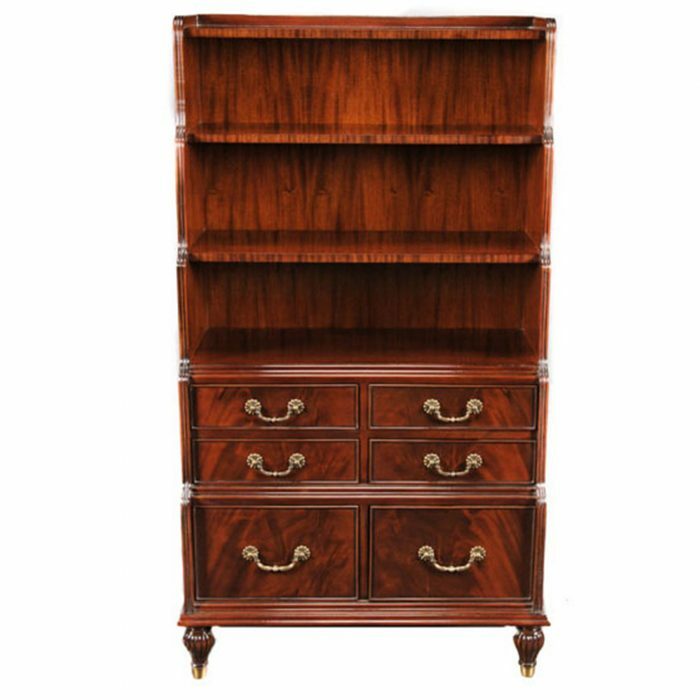 Our Mahogany Open Bookcase ships fully assembled and ready to use.